Bluewater District School Board is celebrating Pride Month. 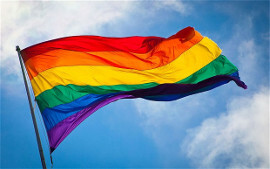 Throughout the month of June, schools are demonstrating support and solidarity by displaying the rainbow flag, as well as organizing activities themed around diversity, equality, and inclusivity in safe school communities. 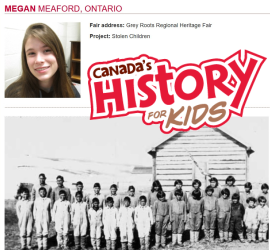 Meaford Student Hoping For Success at Canada's History Young Citizen Contest – And You Can Help! Meaford student Megan Acres has been chosen to compete as the Grey-Bruce representative in the Canada's History Young Citizens Competition, and she is hoping that support from her community will help push her to the podium. Acres is among 32 students representing Ontario in the nation-wide contest between a total of 200 students. The Bluewater District School Board is accepting registrations from Grade 7 - 12 students wishing to enrol in the summer school program, which will run from July 4 to August 8 at Hillcrest Elementary School in Owen Sound. In addition to recovering a lost credit, many secondary students enrol in summer school for a cooperative education experience or for an extra course to help them get ahead. Students increase flexibility in their paths to success in fun and engaging classes with energetic teachers and students from across our area. Earth Week was celebrated school-wide at St. Vincent Euphrasia Elementary school between April 18-21; for the students however, Earth Week is something to celebrate throughout the year.